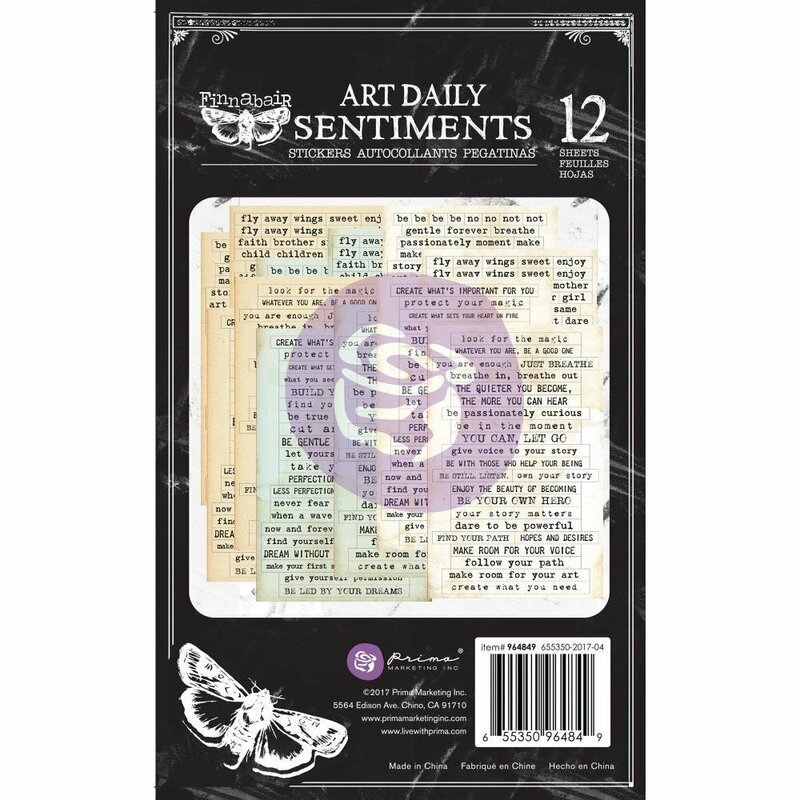 Add inspirational Sentiments to your projects with this Sticker Pad from the Art Daily Planner Collection from Prima. There are 12 sheets of cardstock stickers included in the package. Designs feature phrases like "be in the moment," "follow your path," "create what you need" and more.